Traditional pipeline repair methods involved contractors operating large machines to plow into a homeowner’s property. The process of digging the trenches took days to complete, making it an inefficient and undesirable method for repairing pipelines. 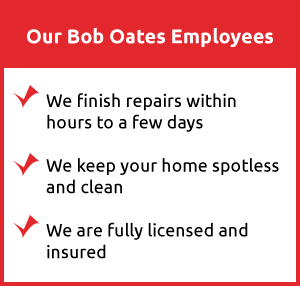 At Bob Oates Sewer and Rooter, our team employs no-dig solutions that save our customers in Old Ballard valuable time and money. We utilize NuFlow lining, an offshoot of trenchless pipe lining processes that utilizes NuFlow mechanics to be the effective and preferred solution. 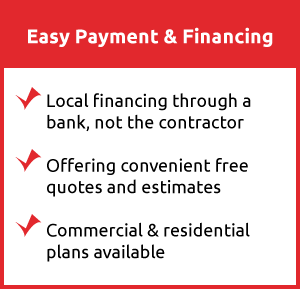 NuFlow’s innovative equipment not only offers the fastest and most affordable option, but the new pipe material is an investment that will last for decades. To employ NuFlow lining, our technicians first need to assess the quality of the pipelines and the level of damage inside through a sewer camera inspection. Our expert technicians fit a flexible line with a high-definition camera and navigate it through the pipeline in search of the problem, allowing us to accurately diagnose the problem. Not only does this lend us the knowledge we need to come up with the best solution, it also allows us to precisely locate any damaged areas so that our NuFlow lining process is strategically placed and completely fixes the problems at hand. Once the inspection is finished and NuFlow lining has been recommended as the ideal solution, we use advanced hydro jetting equipment to clear the pipes of excess dirt and grease buildup that may be coating the walls. The force of the water completely removes these obstructions and restores the original, smooth diameter of the pipeline, preparing it for our NuFlow lining solution. To employ our NuFlow lining process, we only need one or two access points to finish the job. As a result, less manpower is required to dig these holes or establish the connections through a clean out, and the lack of large equipment combined reduces the overall costs for our customers. In addition, NuFlow lining requires only requires a single day to be installed, ensuring that your home’s sewer system is restored to normal and that your business’ doors can stay open. Our NuFlow lining is a versatile process that can be utilized to fix existing pipeline materials including metal, concrete, clay, fiberglass, Orangeburg, PVC, and more. An epoxy mixture comprised of the hardener and the resin is applied to the ailing sections of the pipeline through the access points. The hardener allows the epoxy to cure within a few hours, and the resin acts as the new pipeline that adheres to the interior of the damaged pipe. Pressurized air is directed into the pipeline after the epoxy is set in place, allowing the curing process to be hastened. After the curing process has finished, our technicians will conduct a final camera inspection to check the quality of the installation and ensure that it was successful at sealing away the damaged areas in the pipeline. The new pipes that we install through NuFlow lining are expected to last for at least fifty years or more with proper maintenance. The hardened material makes it difficult for tree roots to penetrate it, and the smooth quality of the new pipe allows waste to flow through it smoothly and prevent any calcified matter from accumulating inside of it. Call Bob Oates and experience the top-notch workmanship of our technicians and the benefits NuFlow lining has to offer.